The reviews for issue one of the book have been incredibly positive; it's surreal. That said it's overwhelming and heartening to know that there are so many fans out there on the same wavelength as myself, fans that love this type of material with a new twist. I'm not going to start linking to various reviews here, as that would be a tad self-aggrandising(they're easily found around the net), but I will post a link to one specific review, from the Houston Press. 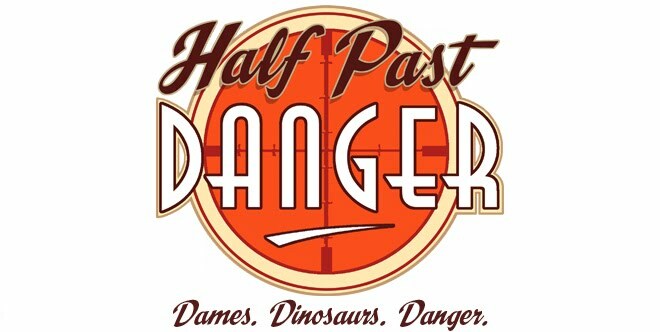 The reporter got onto me today to tell me that Half Past Danger #1 is only the fourth book in two years to receive a 10 out of 10 rating in their paper, and that I should let people know. He blew my tiny mind a little bit. The general tone of reviews has been extremely positive, and they really seem to grasp the vibe I'm shooting for with the book. I'm so, so grateful that it's been this well received, and I find it pretty hard to believe, to be honest. I've been working as a pro artist for 15 years, on comicbooks, animation and videogames. All Materials Copyright 2011 Stephen Mooney. Simple theme. Powered by Blogger.